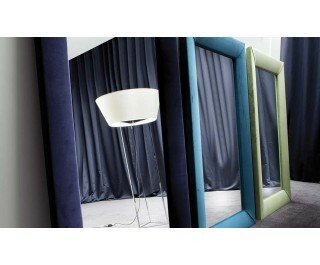 Not only mirror but accessory of furniture, complement for the living-room. Made with wood frame upholstered in fabric and leather. Available in 3 different sizes.